Handcrafted of 8/9 oz. cowhide. 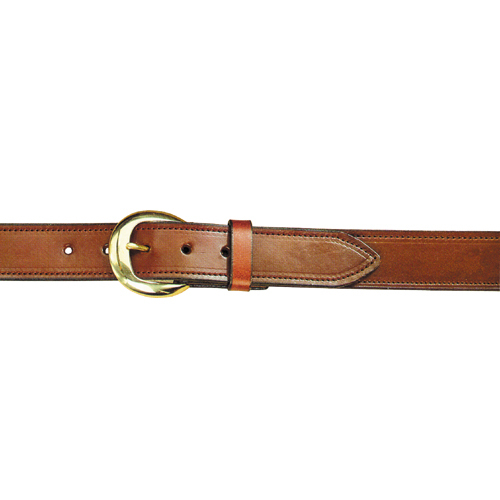 Hand-burnished, sealed edges, decorative stitching, and replaceable nickel or brass buckle. Black or tan in plain or basketweave.